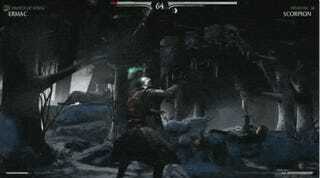 As Mortal Kombat escalated during its early years, the series introduced more ways to finish fights. Fatalities were just the beginning. Friendships, animalities, and babalities become part of the equation. Brutalities were in the console ports of Ultimate Mortal Kombat 3, but disappeared from the franchise soon after. They're back and very bloody in Mortal Kombat X. Given my penchant for horror films, my tolerance for fake gore is pretty high. Even still, I've found myself looking away from some of the violent finishers being introduced in the next Mortal Kombat. I'm not saying they're a step too far. If anything, I'm applauding the creativity. In their original form, you pulled off a brutality by executing an extremely difficult combo when it was time to "finish him." When I say you had to string together a bunch of hits, I'm not joking. 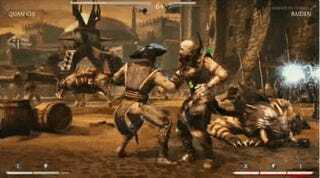 Brutalities only stuck around through Mortal Kombat Trilogy and did not appear in Mortal Kombat 4. 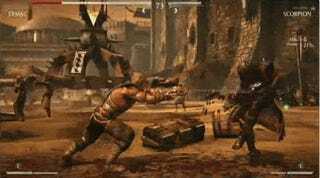 A new system was conceived for 2011's Mortal Kombat, but it was never finished. Apparently, the game will have more than 100 of these.